Where you’re treated like part of our family! Our whole body – full spine approach focuses on your spine’s structural integrity, balance and posture. Chiropractic can help neck and back pain as well as arm and leg pain, headaches, nerve pain, numbness and tingling and other musculo-skeletal ailments and injuries. My staff is professional and friendly and each patient is treated like part of our family. In addition to a chiropractor, there is physical therapist, massage therapists and acupuncturist to help with all of your health and wellness concerns. 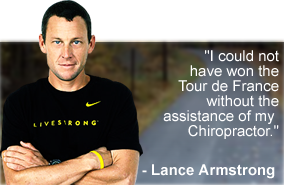 Where the road to better health and Pain relief is just a phone call away. Please call (718) 626-6666 to schedule an appointment, or click on the “Contact Us” link above for more info. Whether your interest is for symptom relief, wellness, or both, there are many ways Astoria Chiropractic can contribute to your overall quality of life. What are you waiting for? Imagine a life without pain or pills. is to provide our patients excellence in clinical care in a comfortable, professional healing environment. We strive to educate our patients about their diagnosis, treatment and rehabilitation options to help them with their health care decisions. Together we can help you learn prevention and management techniques for your condition to better your quality of life, restore function , decrease symptoms and return to your activities. Here at Astoria Chiropractic we believe you will see a difference in your care. We use thorough and effective techniques that help to ensure the best possible outcome for your condition. Chiropractic is a health care profession concerned with the diagnosis, treatment and prevention of disorders of the spine and musculoskeletal system and the effects of these disorders on general health. At Astoria Chiropractic we strive to find the underlying problem and develop an individualized, specific treatment plan to meet your healthcare needs and goals, not just treat the symptoms. We strive to help our patients in a timely and cost effective manner with no long term treatment plans. We work with you and your other health care providers to provide the best outcome possible. We see all ages of patients including infants and children, pregnant mothers-to-be and senior citizens with a wide variety of conditions and problems. If you’re dealing with an injury or an accident, sports injury or trying to manage pain, rehabilitation post-surgery, pain and stiffness from pregnancy or just want to come in for a spinal checkup, Astoria Chiropractic can provide the chiropractic care you’re seeking. We are conveniently located in Queens on Astoria Boulevard one block from the Astoria Boulevard Subway station for the N and Q. There is ample metered parking and a parking lot across the street. We are also accessible by the M60 and Q19 buses. Most Major Insurances as full or partial payment.